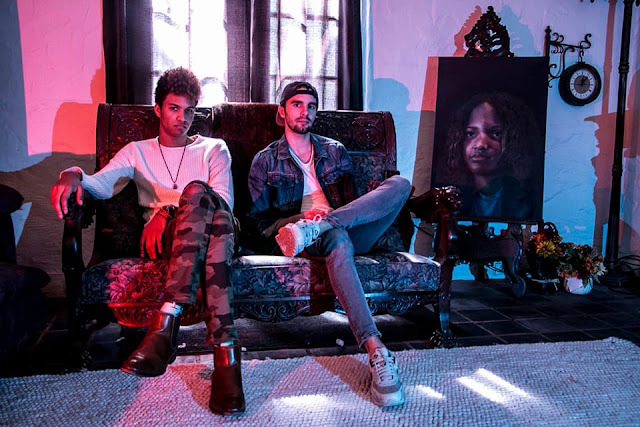 Darwin Champagne and Brady Miller share Slow Motion the lead single off their new EP "Lover Boy". The alternative track blends post rock, funk, synth pop into a lush sultry mix. The vocals feel inward, self aware and a bit sad. I love the aesthetic and the surprising lead guitar work. Written and recorded at Red Light Studios, Brady and I had known each other vaguely in passing through mutual friends. When we found out we both made music, we went into the studio together, ordered a pizza, and made something different than we ever had before.